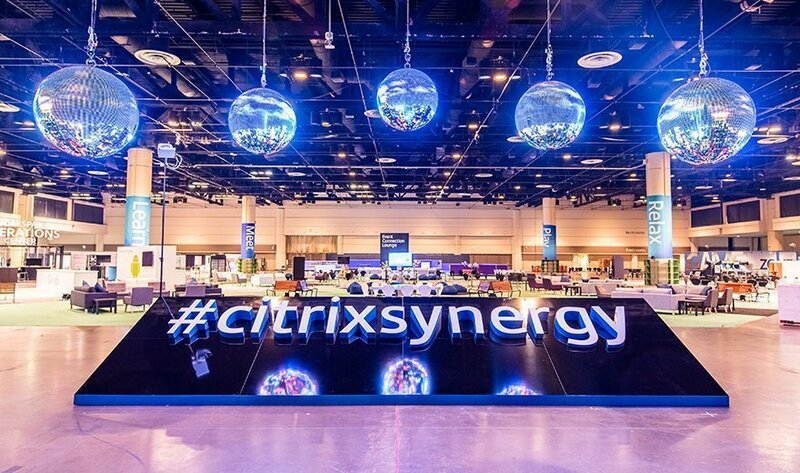 At Citrix Synergy 2016 held in Las Vegas during May 24-26 I was lucky enough to be able to present twice, both of the times I had a great co-presenter and during the last presentation we even had a secret guest on stage. Nutanix Acropolis (AHV) is a powerful scale-out data fabric for storage, compute and virtualisation. Learn more about the inner workings of AHV and see how hyper converged infrastructure can decrease your time to market, increase user perceived performance and bring back focus to what’s important – User and their services. 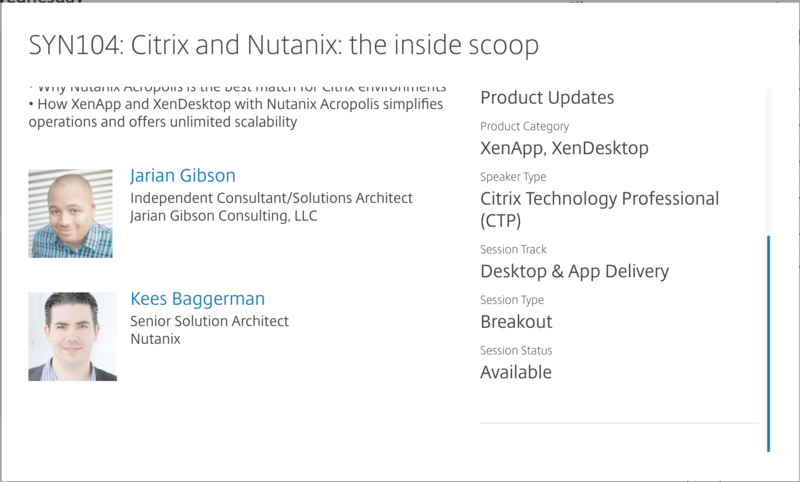 Come to this session to go deep into the nitty gritty of desktop virtualisation with Nutanix. Dive deep into the inner workings of Machine Creation Services and Provisioning Services, including implementation best practices for both technologies. You’ll learn about the weak spots and the benefits of each. We will also look into the behaviour of both technologies on different hypervisors, such as VMware vSphere, Microsoft Hyper-V, Citrix XenServer and Nutanix AHV. 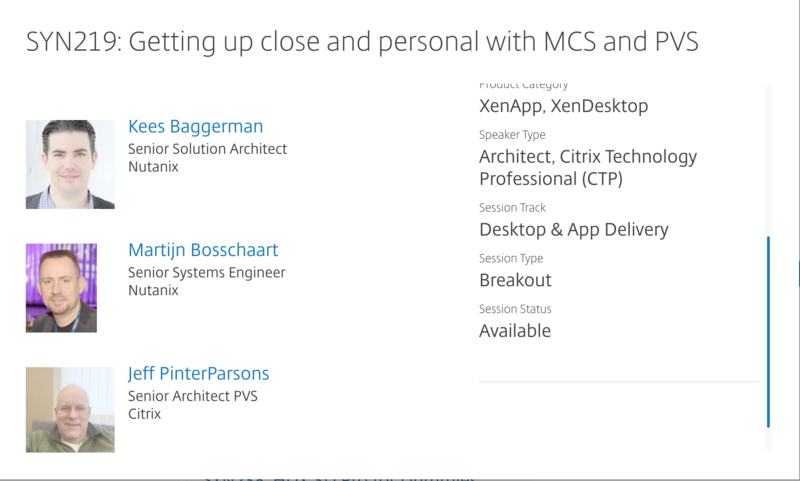 Especially Jeff needs a big shout out, as (and I quote): they won’t let him out in the open that often and he was able to talk about the potential future directions of both MCS and PVS which added a lot of value to the session.